The 75cm wide NEFF T27DS59S0 Gas Hob has 5 burners with the 4.0kW wok burner as the centrepiece for creating perfect stir-fries and paellas. 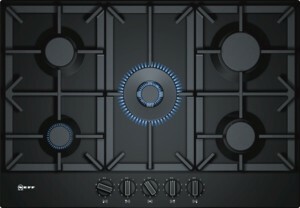 The other hobs are made up of 1 high speed, 2 standard, 1 economy, for the use of a variety of pots and pans. 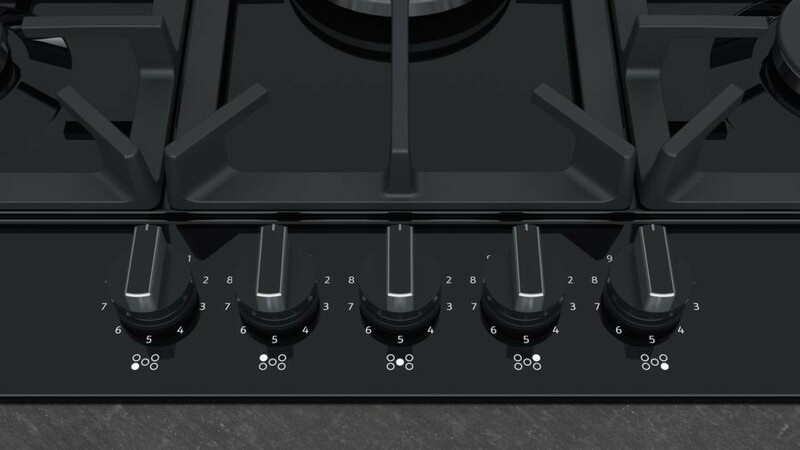 Finished stylishly in black with ergonomically designed bevelled dial controls on the front panel and cast iron pan supports for the hobs, the T27DS59S0 will look good in any kitchen. Ignition is automatic via the dials on the control panel where you can control the intensity of the heat. For safety there is a flame failure safety device that will cut the gas supply if the gas has blown out. Adaptable for LPG (jet included).